The Bloom team has been advised that before the end of June, the council will be placing twenty rectangular containers on the new paving. These will be the same as the one by Burtons. 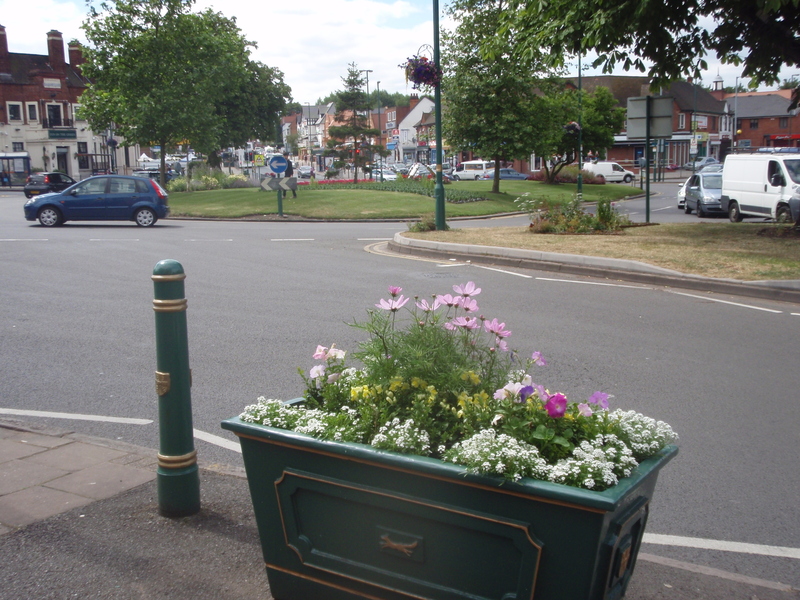 Seventeen new street trees will be planted in the Autumn and due to a large underground gas pipe, the council is placing 10 large square planters on the pavement with trees and shrubs for all year round interest. Acocks Green is being judged by the Royal Horticultural Society on Wednesday 8th July in the Britain in Bloom campaign, so if you can help us to meet the deadline with all types of last minute jobs please contact the Village in Bloom Team, watering, weeding, litter-picking and planting, every little bit can help the campaign. Co-ordinator Fran Lee on 0121 706 0076 or e mail: fran.lee47@yahoo.co.uk. This entry was posted in Events, News and tagged Acocks Green, Acocks Green Village, flowers, planters, RHS, Royal Horticultural Society, shrubs, street trees, Village in Bloom. Bookmark the permalink.